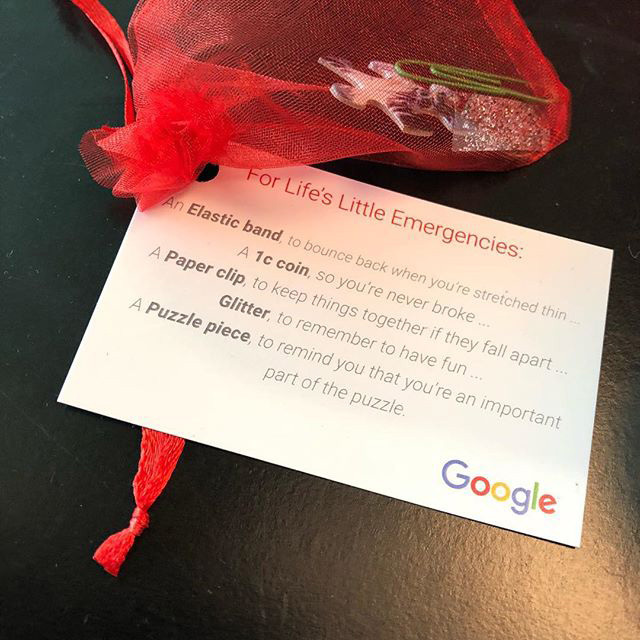 Someone shared a photo of a card they received from Google, their employer, with encouraging messages and more to help someone who may need a bit of encouragement. It seems it is to help with anxiety or depression or simply to cheer up some of their employees. The card was posted on Instagram and describes what is in the tiny gift bag. It reads, "For Life's Little Emergencies:"
A Puzzel piece, to remind you that you're an important part of the puzzle."